Our meticulous attention to detail results in a quality Reproduction Price Card for various Stoner/Univendor Vendors such as Candy and Pastry Machines. Our Price Cards are available in Black or Navy Blue lettering and slide into Price Card Holders to look Original instead of using a decal! 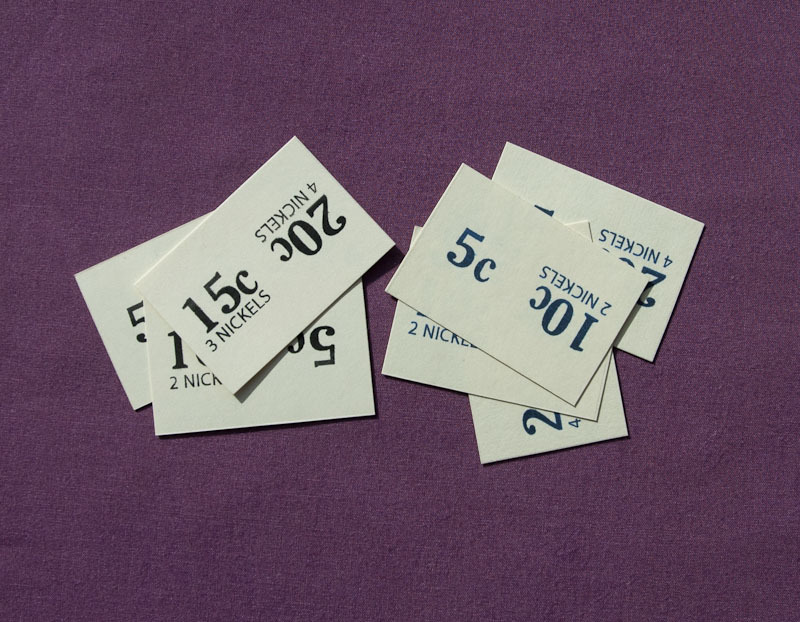 These Price Cards are for most Stoner/Univendor Models manufactured prior to 1958; however, be sure to check with us prior to ordering to ensure you obtain the correct size. Price Card dimensions: Approx. 2" long x 1 3/8" tall. We will be offering Pre-War Model Price Cards as well as Late Model Price Cards for those models manufactured after 1957.